Pneumatic mining drills. 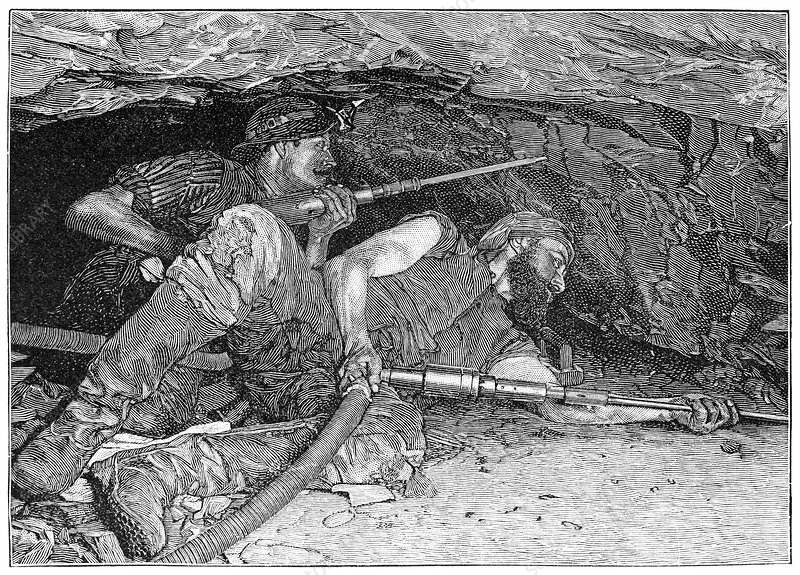 Historical artwork of miners in a copper mine in Mansfield, Nottinghamshire, UK, using pneumatic drills to extract copper ore. Pneumatic drills, which use compressed air to drive the drill into the rockface, were developed in the late 1840s and early 1850s. Compressed air is supplied through hoses (left). Artwork from the third edition of 'Les Entrailles de la Terre' (1902) by French author Eugene Caustier.